Hey, fandroid friends and foes, do you really think Apple is the true enemy? You definitely need to start thinking different, because the devil in the details is definitely Microsoft. You can’t get more “dark side” than Redmond, which wrings billions in Android royalty revenues every year from Android OEMs. While Apple will eventually collect about $1 billion total from the Korean consumer electronics giant for patent infringement, etc, but Microsoft gets that much annually. And, that’s just Samsung — now who ya gonna hate? As far as Redmond is concerned, they’re looking for all Androids. Have wondered how Microsoft can afford to spend billions every year on its Windows Phone platform with so little to show for it, hmm? Billions in Android royalty payments cover Redmond’s repeated smartphone and tablet failures. Well, according to a write up on Re/Code, at least one Android OEM is toying the idea of not paying Microsoft anymore royalties. Microsoft has a vast number of Android patent licensing agreements with device makers worldwide, but a Samsung court case has put a figure on exactly how much money the software giant makes from Android. Samsung paid Microsoft $1 billion in patent-licensing royalties last year, a huge sum that has the pair locked in a legal battle over contracts. That said, Samsung originally signed two contracts in 2011 covering cross-licensing and business cooperation. However, that was before Samsung surged ahead of the pack to become the dominant Android smartphone and tablet maker. The courts will decide if and how much Samsung will ultimately pay Microsoft in Android royalty. Naturally, with so many Android OEMs paying royalties, this case could have huge ramifications for the smartphone industry at large. As an Apple fan, I’m really torn over who to root for? Huge, nasty and evil or huge, nasty and evil. Then again, watching both your enemies fight is entertaining? Should Samsung et al being making Android royalty payments? 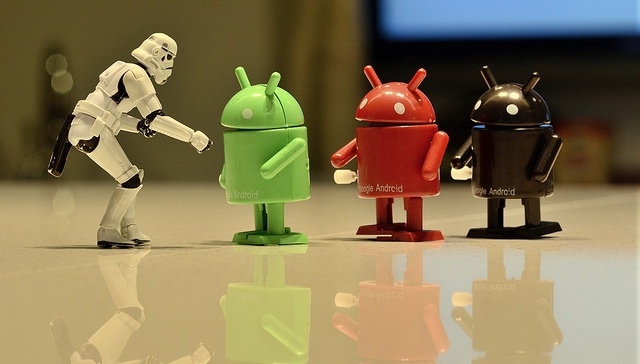 Should the courts just shutdown the Android’s intellectual property thieving ways?